Shocked about Rockstar’s announcement yesterday? He’s left New York? Grown a beard!? Shaved his head!!? Is this really the same Max Payne we know and love? The man with a monster body count and nothing to lose? The answer is …yes, actually. 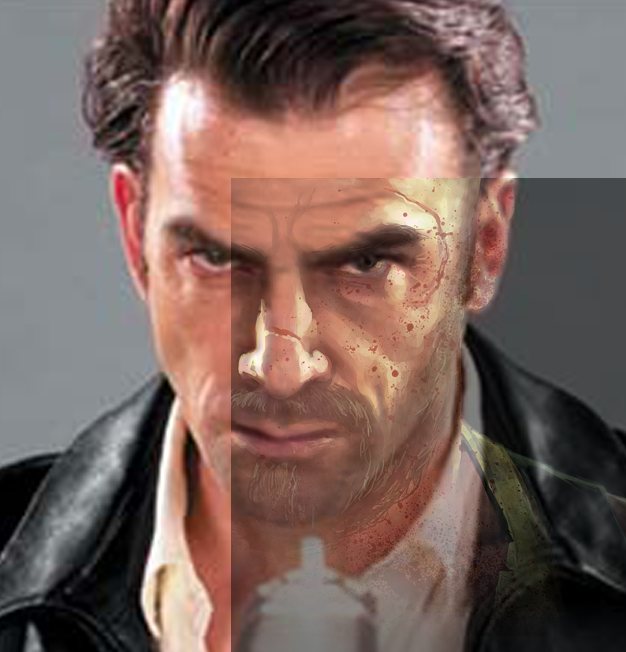 In case you had any doubts, I’ve prepared several images to illustrate (conclusively, I hope) that Timothy Gibbs is still playing Max Payne. At least, his likeness is used in the original Max Payne 3 poster that hit the news yesterday. 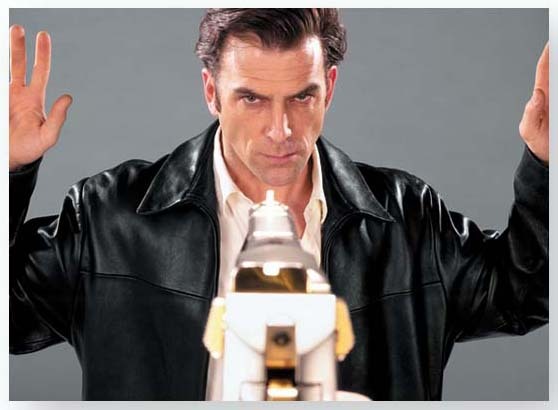 There was already some kind of suspicion that it looked a bit like him (as these two images demonstrate – click for larger versions), but it wasn’t until I started rooting around the original Max Payne 2 photoshoot looking for similar images, that I hit the jackpot. Something struck me about this photo, but it wasn’t until I flipped it around and superimposed the Max Payne 3 image over, that it jumped out at me. And standing there, facing the pure horrifying precision, I came to realise the obviousness of the truth. It’s the same image. 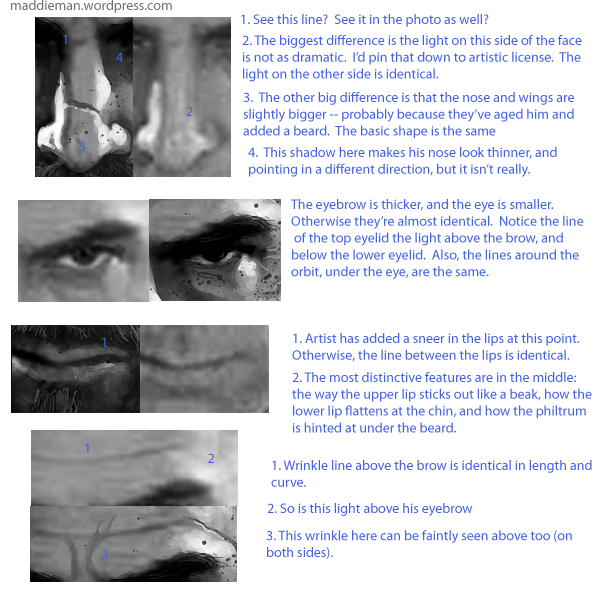 Real facial analysis can get quite complicated, especially if the two faces are looking in different directions, or there’s little source material available, like in Vanity Fair’s recently rediscovered photo of Robert Johnson. You have to map structural points on the skull (e.g. the brow, cheekbones, etc) which should remain consistent regardless of the direction of the head and type of facial expression. However, I didn’t have to worry about this, because I was already 95% confident that they were the same image — I just wanted to prove it. And if they were, it should be a simple case of making sure the proportions and facial features (eyes, noes, mouth, ears,…) are the same. Click on the black and white images for details. Please bear in mind that I’m working on the assumption that Rockstar’s artist has likely either painted directly over the photo in Photoshop, or eyeballed it, so there will be some minor differences, and not to mention artistic license (like the beard! and him possibly being bald). Also, I had to scale the photo up to match the painted one, so it might not be 100% exact. What I find curious is why Rockstar used a photo from Max Payne 2 as a template for promoting the third game, and not a brand new image. Perhaps they thought Max’s new look would go down better if, at an unconscious level, it was familiar. Or maybe the graphic novel photoshoots are still in production. Your guess is as good as mine. I’d also like to say at this point that while I’ve read a lot of mixed feedback regarding Max’s new look and Remedy not being involved; I’m trying to keep an open mind on this. I’m apprehensive about the sequel as everyone is, but so far all we’ve seen is one image of Max and a very vague overview, and already people are jumping to conclusions and casting judgements. Remember, the series was always designed to support several follow-up titles, with or without Remedy. It’s T2/Rockstar’s series now, and I think it’s important that they take the opportunity to shape it into their own game now, and not just make a poor imitation of Remedy’s own unique style. Of course, the catch is to do this without completely alienating the original fanbase. Crystal Dynamics have proven that it’s possible for another studio to pick up the torch and resurrect a series without destroying the magic of the original, so why not give Rockstar Vancouver the benefit of the doubt? That is… at least until a screenshot or video is posted (then it’s fair game). Okay, time for a quick update now that the first batch of screenshots are out. Is Timothy Gibbs still Max Payne? Is Max Payne 3 still Max Payne? Honestly I’m not sure anymore. However, I still stand by my original image/facial analysis. 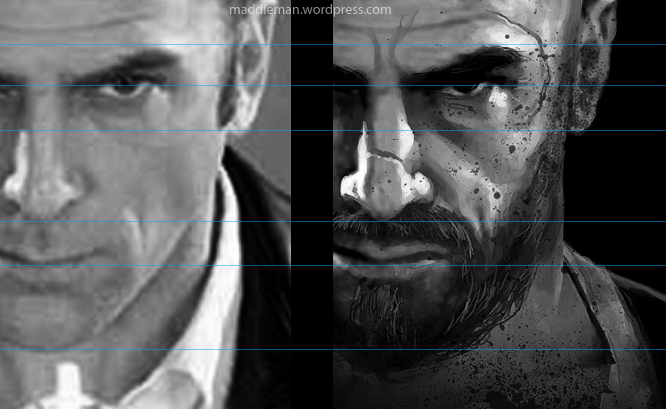 That is: I still think that the image above is based on the photo of Gibbs from Max Payne 2. Whether or not the actual 3d model used in the game and subsequent pr images are based on Gibbs’ likeness or someone else is another matter entirely. 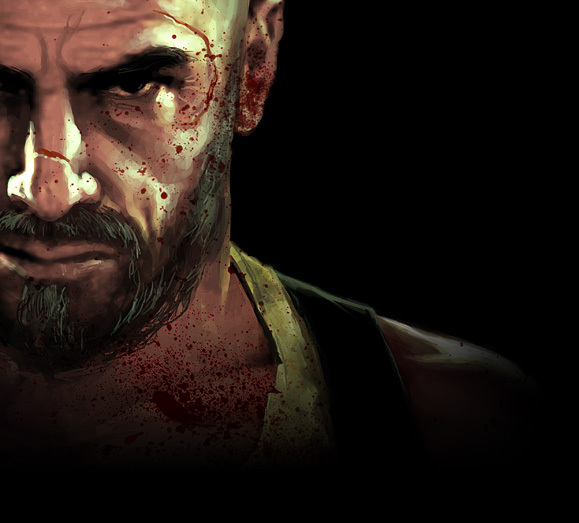 Given how they’ve drastically altered the look of the game, it makes sense to me that Rockstar would opt to use Gibb’s likeness for the first pr image simply to avoid completely alienating the existing Max Payne fanbase (especially now that James McCaffery isn’t voicing Max either). As for the rest of the game… I just don’t know. To me it looks like they’re shooting for a City of God vibe, which could work I suppose. Rockstar seem to have changed their minds, and not only reinstated James McCaffery as the voice actor for Max, but I understand that his likeness is now being used to portray the character as well. Although I like Gibb’s as Payne, I can’t really complain – I think McCaffery will suit the role perfectly. The Artist’s Complete Guide to Facial Expression, by Gary Faigin. This entry was posted in Games, Graphics, Learning and tagged Tutorials by Maddieman. Bookmark the permalink.